Idiopathic lower back pain should actually be the working “diagnosis” in many cases of lumbar dorsalgia, since no verifiable causative process exists to definitively shoulder the blame for enacting symptoms. However, in the modern medical system, it is almost unheard of for a doctor to report that they do not know what the exact cause of pain might be. This is particularly true with specialists who pride themselves on their diagnostic evaluation skills. Maybe it is ego or maybe it is financial incentives, but doctors simply hate to admit that they might not know what the real cause of pain truly is. This fact aside, a diagnosis is virtually always presented and that conclusion is almost never idiopathic lower back pain. In virtually all cases of chronic lumbar dorsalgia, some spinal abnormality will be implicated as the most likely culprit, without any scientific evidence of a pathological process or even logical symptomatic correlation. This is the primary reason why so many patients fail in their treatment endeavors and the motivation for our many writings on the epidemic rate of misdiagnosis as the most logical reason. This discussion explores why idiopathic pain should be the “diagnosis” in most cases of low back pain and should stay that way until actual proof of pathology can be discovered and successfully linked to the current symptomatic expression. What is Idiopathic Lower Back Pain? Idiopathic simply means “of unknown origin”. While doctors make lots of pretenses about thinking that they know the cause of pain (mostly so that they can move the patient into profitable treatment) it is clear that most back pain is indeed idiopathic. 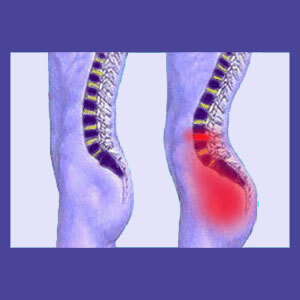 There may be suspicions about the cause of pain, which is excellent. However, these suspicions can usually be eliminated completely during proper and objective diagnostic processing, leaving no clear conclusion about the source of discomfort. However, while these suspects are able to be eliminated, they rarely are, since this takes a lot of unprofitable work. Instead, the most logical source of pain (the most obvious structural abnormality in the area) will almost always take the blame. In most instances, disc abnormalities will be implicated as the source of pain, despite overwhelming and indisputable evidence that they are rarely the symptomatic origin. In these particular circumstances, pathology is virtually never established. The disc is simply imaged, seen to be irregular (degenerated or herniated), then confirmed as the causative source. Alternately, osteoarthritis (a universally experienced condition in the lumbar spine) is often blamed, even when no pathology can be established. In less common cases, abnormalities of lordosis, scoliosis, spondylolisthesis, transitional vertebra or sacralization are blamed for pain, despite no proven pathology. In some cases, idiopathic muscle pain is diagnosed, which is a huge step forward, since although it places blame on the muscles, the doctor might not be sure why the condition is occurring. Rarely will a diagnosis of truly idiopathic pain be reached in developed medical infrastructure countries. As we mentioned before, between the imperative of ego and the lure of money from treatment, a doctor saying that they do not know the origin of pain is professional suicide, despite the complete truth of the statement. If a doctor tells it like it truly is, they expect the patient will simply go elsewhere to another caregiver and receive the same scapegoat diagnosis of an incidental structural abnormality that the original doctor would normally provide. Then, the new doctor would make the money for treatment at a direct financial loss to the first doctor. The economic incentives of easy and profitable treatment force doctors into providing a diagnostic verdict, even when they suspect, or know outright, that it is wrong. Doctors are very smart. 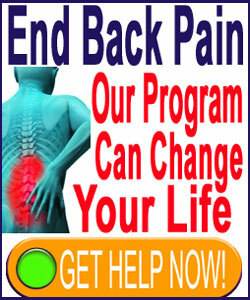 They know why most lower back pain treatment fails miserably. They know it is simply because the conditions being treated are generally not the sources of pain. They are merely convenient scapegoats. This is no secret. In fact, it is a universally-known truth among doctors who treat back pain. However, they are all economically invested in the lies, so they propagate them much to the detriment of patients worldwide. In some frightening cases, doctors actually buy into their own myths, truly claiming to believe that an innocent and obviously nonpathological structural irregularity is the illogical source of pain, without any evidence to back it up. These are the doctors who scare us the most, since they have told the lies so many times that they actually hypnotized themselves into believing them. Meanwhile, other rare physicians work to fix these wrongdoings and improve the state of medical science, regardless of the collateral financial cost to the liars who currently profit from the lies. In most chronic lower back pain cases, no pathology can be accurately and objectively established within accepted clinical medical guidelines to explain the symptoms. While a variety of “abnormalities” can be found when imaging the spine, doctors know definitively that “atypical structure does not accurately predict pain”. None of these lessons would come as any shock to any doctor reading this essay. This is all common knowledge, although rarely discussed due to its obvious dark side. Being told that your pain is idiopathic should be welcome. If no definitive cause is found, then no treatment is needed. Sure, you might have pain now, but you were just informed that it is nothing serious. You can relax. You do. The pain fades over a few days or weeks. Problem solved. On the counterpoint, you have pain, you are told something “atypical” exists in your lumbar spine. Now, you have a problem. You must fix it. Drugs, injections, then surgery… “Problem” resolved, but now the pain has moved. Is there any relief? Not as long as symptoms are incorrectly attributed to scapegoat causation. This simply induces fear, nocebo and escalated pain. Your own letters have proven it time and time again. Our research and clinical experience supports it. It is the truth.